An opportunity to pre-let three new ground floor commercial units located within Crest Nicholson’s new mixed-use development, Dylon Works. The development is set to comprise 223 residential units and three commercial units. The units will be provided in shell and core condition with services and glazed shopfronts. • 2 new commercial units available to pre let. • A1, A3, Use Class. • Part of Crest Nicholson’s new mixed-use development which also comprises 223 residential units. • Adjacent to Lower Sydenham Station. • Provided in shell and core condition with shop fronts included ready for internal fit. Unit 2: A1 retail unit fronting Station Approach measuring 2,702.12 sqft. 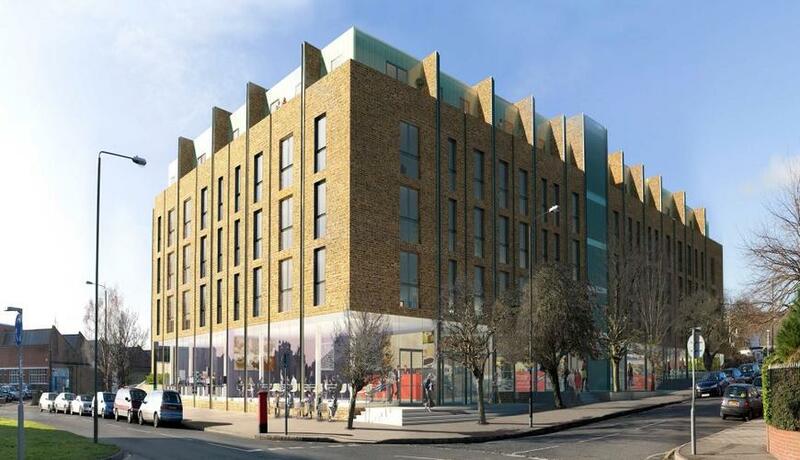 Location: The development is situated on the corner of Worsley Bridge Road and Station Approach adjacent to Lower Sydenham Station. Worsley Bridge Road connects Beckenham to the South with Lower Sydenham to the north. Lower Sydenham is an area that is set to undergo a significant amount of change through residential led re-development and investment in the coming years. Lower Sydenham Railway Station provides commuters with regular services to London Cannon Street. Terms & conditions: Unit 2 - A1 retail unit is offered on a pre-let basis on effective FRI terms. Offers are invited in the region of: £45,000 per annum.